A fantastic time and energy saving addition to any kitchen. 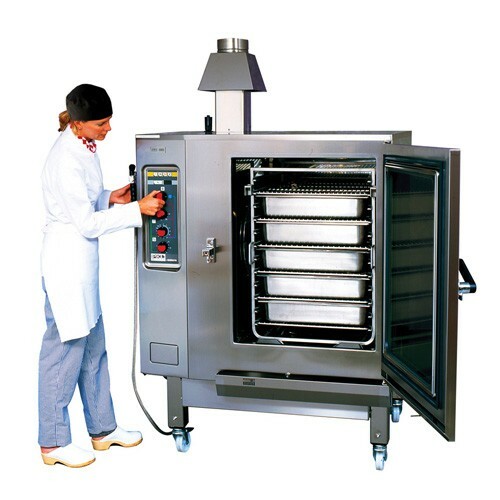 The regeneration combination oven enables easy and efficient regeneration of all food types and already plated meals. Ideal for any caterer. Five cooking modes – steam, convection, combination, regeneration, overheated steam. Temperature range 50°C – 250°C. Even heat distribution reduces the variations in temperature within the oven, allowing for consistent cooking.